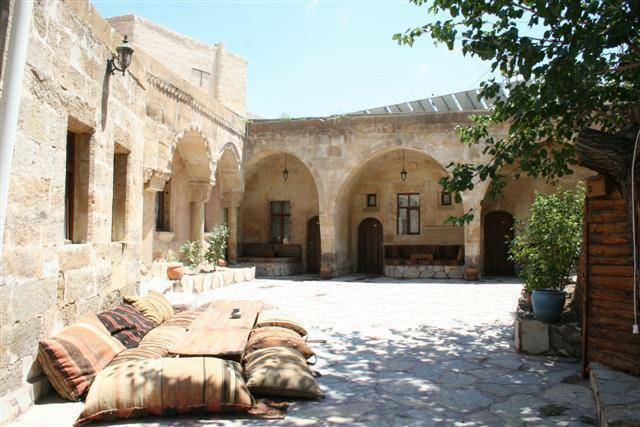 Situated in the center of Urgup, the Cappadocia Palace is a traditional Greek Guest House dated 19th century converted into a modern hotel with all comforts. The decor of hotel is elegant and personalized with beautiful hand-crafted furnishings and antiques. Cappadocia Palace has created a peaceful balance between modern comfort and tradition. with its convenient location in the center of Urgup, Cappadocia Palace is a perfect base for daily excursions within Cappadocia. Professionally run, Cappadocia Palace Hotel provides a personal touch. The Building itself was located by one of the Largest Churches in Cappadocia, and used to accommodate the guests of the church in those days. Even today there are many people who also visit our hotel as museum. 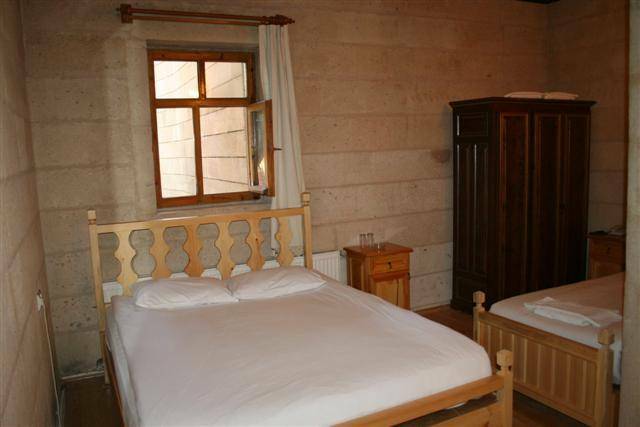 The hotel is family-run, with a total of 18 rooms 4 of which is in cave, central heating in winter, en suite bathroom and constant hot and around Urgup are excellent examples of typical Cappadocian houses, most of which have been carved out of the soft volcanic rock or built with local stones. 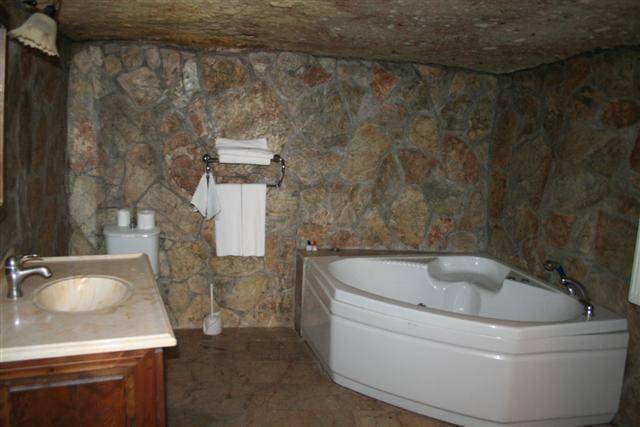 Due to the abundance of stone and the lack of wood in this region, the local inhabitants found ingenious ways of creating comfortable dwellings for themselves in the volcanic rocks. Along the mountain slopes or in the cones, people carved out living quarters, cellars, stables, and storage areas, some of which are still used today. 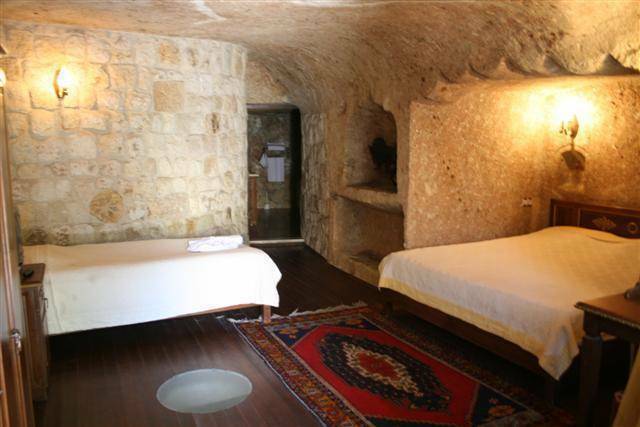 Cappadocia Palace Hotel is one of the examples of these old cave houses in takes only few minutes ro reach museums, shopping, galleries, restaurants, parks, cafes from Cappadocia Palace Hotel. The name CAPPADOCIA dates back to Persian times, when the region was called as katpatukya meaning Land of beautiful horses. Since that time Cappadocia has seen the rise and fall of many different civilizations. It is a land of vast plains, rolling hills, rugged mountains and extinct volcanoes. It is a veritable treasury of historical relics from the Chalcolithic era to the Seljuk Turks period. Discover unique landscape Cappadocia with comfort&helpfull staffs of Cappadocia Palace Hotel in Urgup. 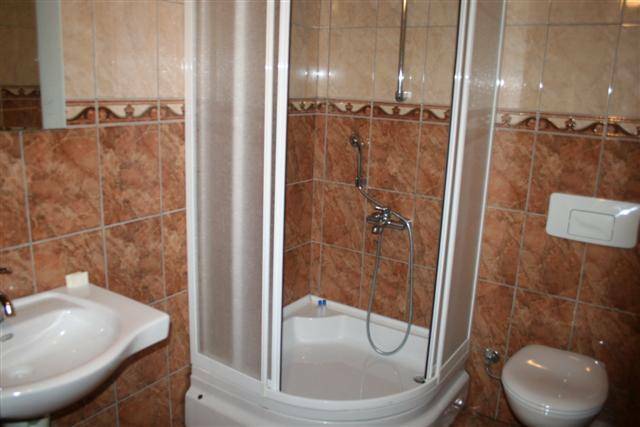 There are also 4 suite rooms are available. located in Urgup city center.